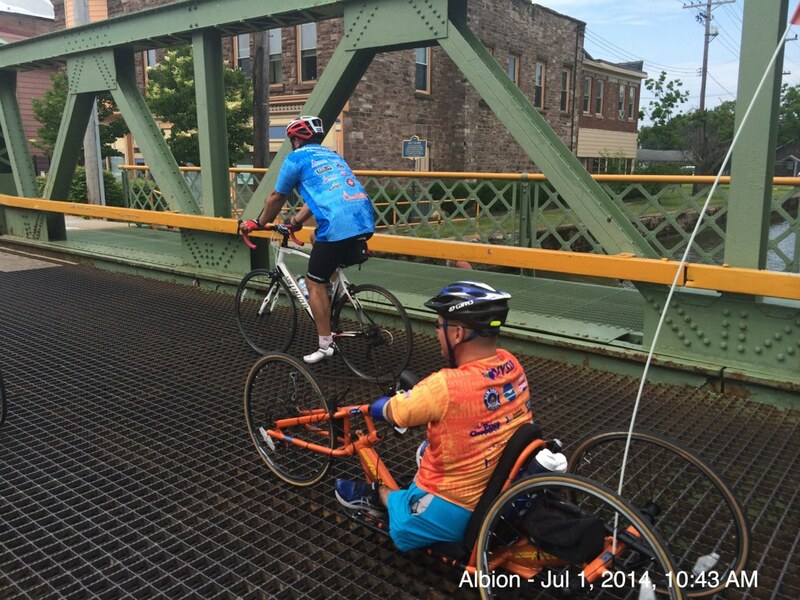 In July, Our Ability, a non-profit advocacy organization for people with disabilities, completed a 12-day cycle across New York State on the Erie Canalway Trail. 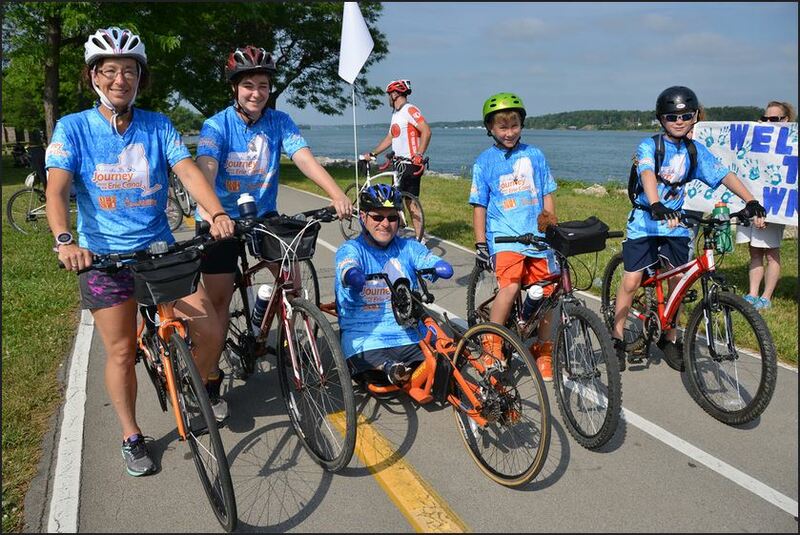 Fifteen riders powerfully demonstrated the capabilities of individuals with disabilities on the 350-mile trek. Our Ability was founded by John Robinson, born a congenital amputee without full arms and legs, and Doug Hamlin, a 28-year veteran of the software industry who is disabled as a result of an accident. The organization raises awareness and understanding of the capabilities of disabled individuals through inspiring positive video stories and other events. Robinson was motivated to undertake the first Journey Along the Erie Canal by his wife, Andrea, and two children after receiving a three-wheeled, hand-operated bicycle as a donation. Hamlin joined Robinson for Journey I in 2013 and saw what the ride could symbolize. This year’s Journey Along the Erie Canal II began in Tonawanda at Niawanda Park and ended in Albany on July 11. Hamlin and Robinson rode with a core group of 15 cyclists, staying at hotels and motels along the route. By all indications, this summer’s event was even more successful than Journey I. Each day the Our Ability squad was accompanied by between 20 to 50 riders from the local area along with thousands of well-wishers who turned out to support the team as they made their way across the state. Besides the central goal of raising awareness and promoting advocacy for people with disabilities, Our Ability’s Journey II also showcased the Erie Canalway Trail as a means for people of all abilities to experience living history and outdoor recreation, and reinforced the need for Closing the Gaps that remain in the Canalway Trail. The journey’s finish coincided with the start day of PTNY’s Cycling the Erie Canal ride, which also emphasizes the historic and recreational value of the Erie Canalway Trail. Our Ability has posted a series of inspiring and entertaining videos from Journey II. Congratulations to this determined group of Canalway Trail End-to-Enders!